Museum of Contemporary Art Santa Barbara Teen Arts Collective proudly debuts 200X: Yesterday’s Youth, an exhibition of new works reflecting seven unique perspectives on growing up in the 2000s. In addressing both their individual and shared experiences, the students tap into their pasts in order to reflect on the challenges of fleeting youth and contemplate the restlessness they feel as they approach the freedom of adulthood. 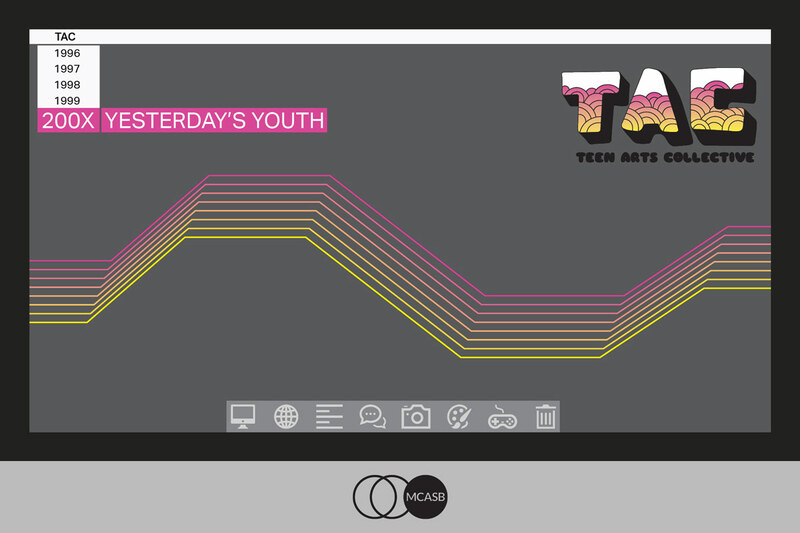 200X: Yesterday’s Youth presents a multimedia, multisensory homage to a generation. This exhibition is on view at Santa Barbara's Youth Interactive April 17 - 30, 2019. Featured artists: Samantha Fitz, Ella Grabenheinrich, Jasmine Linares, Emma MacArthur-Warner, Thalia Martinez, Sophia Pfitzmann, Abigail Rightmire. Artists' reception: Wednesday, April 17, 2019, 6 - 8 pm Youth Interactive, 1219 State Street, Santa Barbara, CA 93101 RSVP here About Teen Arts Collective (TAC) Museum of Contemporary Art Santa Barbara Teen Arts Collective (TAC) is a hands-on program that makes the contemporary art world more accessible for Santa Barbara students ages 15 to 18. Over the course of six months, TAC members develop visual literacy skills, strengthen leadership abilities, and begin cultivating their own creative networks through exposure to practicing artists and arts institutions in the Santa Barbara and Los Angeles areas.